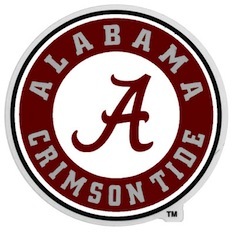 Join the Greater New York Chapter at Ainsworth Park (111 East 18th Street) on Saturday, April 20 to enjoy some spring football and get a first look at the 2013 Crimson Tide football team. Kickoff is set for 3 p.m. on ESPN2. Leading up to the game, Ainswork Park will be featuring its $29.99 Bottomless Brunch from 10 a.m. until 4 p.m. The brunch features diverse menu selections along with two hours of unlimited Bloody Mary's, Mimosas or Bellini's. Ainsworth Park is offering one free beer, Mimosa or Bloody Mary to every Alabama fan in attendance!